Prayer Or No Prayer… Is It A Republican Or Democrat Thing? Prayer Or No Prayer… Is It A Republican Or Democrat Thing? Prayer Or No Prayer… Is It A Republican Or Democrat Thing? 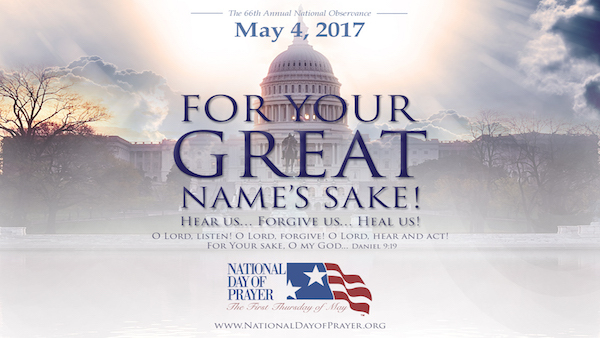 This Thursday the U.S. will officially celebrate the National Day of Prayer. This “event,” not the date, but the act of praying for the country, has been a tradition since the Revolutionary War. This year will be my 13th year MC’ing the annual prayer breakfast in my California hometown. The first year they found it very explosive. Well, almost. With a bomb threat called in an hour after the event ended! The bomb threat was a fake, but the outrage at the time was very real and was two-fold. First, those “pesky” Republicans were at it again. The main sponsors of the event were all members of Republican groups with the exception of one who was a registered Democrat. And second, the tone of the event was religious, so no elected official should be lending their title to it (it’s called the Mayors Prayer Breakfast). The local Mayor at the time still attended and spoke at the event. He was hammered at a few City Council meetings for doing so. So why the uproar? Prayer by elected officials has always been a part of this country and its history. Some of you bloggers are going to tell me I have my facts wrong. However, every quote I print from this point forward can be found in the MIGHTY RELIGIOUS organization known as “The Smithsonian.” Not the BLOGOSHERE. I can go on, but I won’t. You do the research. Many elected officials attend and ask for prayer and divine guidance. Those who really believe in prayer find peace and clarity to make decisions based on a greater good and not just themselves. I’m good with that. So whether you agree or disagree with it, whether a Democrat or Republican or a Decline-to-State, pray for your leaders and others in authority. (ALL year long!) If you don’t believe in prayer, do whatever it is you do that has a positive effect on our leaders. The country has become more and more divided, not just politically, but spiritually as well. Too many have NO respect for religious beliefs of any kind anymore. Recently, I have seen disgusting actions at town hall meetings when prayer is offered and even during the Pledge of Allegiance when they get to the words “under God.” The Left starts shouting “separation of church and state.” Really? Can’t they control themselves? For one lousy day, just one, do you think you can just maintain control of yourself and allow people their 1st Amendment right to freedom of speech? Can you control yourself for one day and allow people to ask the God they believe in to guide and help this country and our leaders become stronger? American, how about we bless God for once! What do you think? Lord who grants salvation to kings and dominion to rulers, Whose kingdom is a kingdom spanning the entire universe and all eternities; Who places a road in the sea and a path in the mighty waters – may you bless the President, the Vice President, and all the constituted officers of government of this land. May they execute their responsibilities with intelligence, honor, compassion and love for the constitution wonderfully crafted by our founding fathers. May you protect those who serve, who put their lives on the line to keep us safe. May you always bless these United States and provide our leaders with the comprehension of your role in making this republic the land of the free and the home of the brave.